Writing in his so-called personal capacity, Sipho Pityana, the president of Business Unity SA (Busa) and the chairperson of AngloGold Ashanti, tried and failed to derail last week's successful summit of the Black Business Council (BBC), with an attempt to smear an organisation on a path to again becoming a powerful force for economic transformation. Pityana's poorly researched letter shows he is an enthusiastic purveyor of untruths. He says I was appointed to positions that placed me at the high table of the state capture project. Specifically, he says I was an economic adviser to former president Jacob Zuma. This is patently untrue. I was not appointed to the presidential state-owned enterprises (SOEs) review committee, which was established in May 2010 with 12 members led by chairperson Riah Phiyega. The BBC did not advise the former president on the restructuring of SOEs, including Eskom, or the appointment of boards and executives. Actually, Busa members participated in the Eskom war room that Zuma established in 2014. Later the BBC requested to become part of this important initiative. However, it had already collapsed. I was and continue to be a member of the Presidential BEE Advisory Council. I have served on this council with other principled leaders, such as Tsakani Ratsela, the deputy auditor-general, and Wendy Lucas-Bull, the chairperson of Absa. Were these people also at the high table of the state capture project? The BBC has not had any relationship with the Gupta family. They offered a king's ransom and requested to be members of the BBC. But the organisation, then led by president Ndaba Ntsele, refused to allow them. Some prominent BBC members unfairly lost state procurement opportunities to the Gupta family. One of them is preparing a submission to the Zondo commission. So far, the submissions to the commission have highlighted corruption and state capture by many large established companies, some of whom account to Busa. The BBC supports the work of the Zondo commission. Contrary to Pityana's wishes and assertions, I do not have any business relationship with the Gupta family or Duduzane Zuma. In 2010 ArcelorMittal announced plans to sell a 21% stake in the company to the Ayigobi Consortium, which I led. A journalist wrote that I had said the deal was "money for jam". I did not say that. That was a quote the journalist wrongly attributed to me. I was vindicated. The newspaper gave me a right of reply and published a transcript of the interview. In any case, the transaction eventually collapsed in 2011. It did not happen. The BBC was established in 1996 as an umbrella body of 11 black business organisations. Following a recommendation of the Black Management Forum, the BBC established the BEE Commission and appointed now President Cyril Ramaphosa as its chairperson. The BEE Commission's seminal report, which was submitted to then president Thabo Mbeki in 2001, paved the way for the country's empowerment laws. For this reason, we consider Ramaphosa to be the father of legislated BEE. In 2003 the BBC merged with Business SA, which represented established white businesses, and formed Busa. However, Busa did not prioritise issues of economic transformation. I served as chairperson of Busa's transformation subcommittee between 2009 and 2011. I witnessed first-hand how issues relating to transformation, which were discussed and agreed to at the level of the subcommittee, did not make it to the Busa National Council. Busa paid lip service to the issue of transformation. In 2011 black business organisations broke away from Busa and held a Black Business Summit. The summit, which was attended by, among others, Jabu Mabuza, the immediate past president of Busa, resolved to relaunch the BBC. Patrice Motsepe led the new organisation until it was formally launched in 2012, with Ntsele as president. He served two terms until 2016, when Danisa Baloyi became president. Since I became president of the BBC in August last year, every council meeting has discussed the matter of the R5 million that went missing under Baloyi's leadership. We have recovered about R4 million. 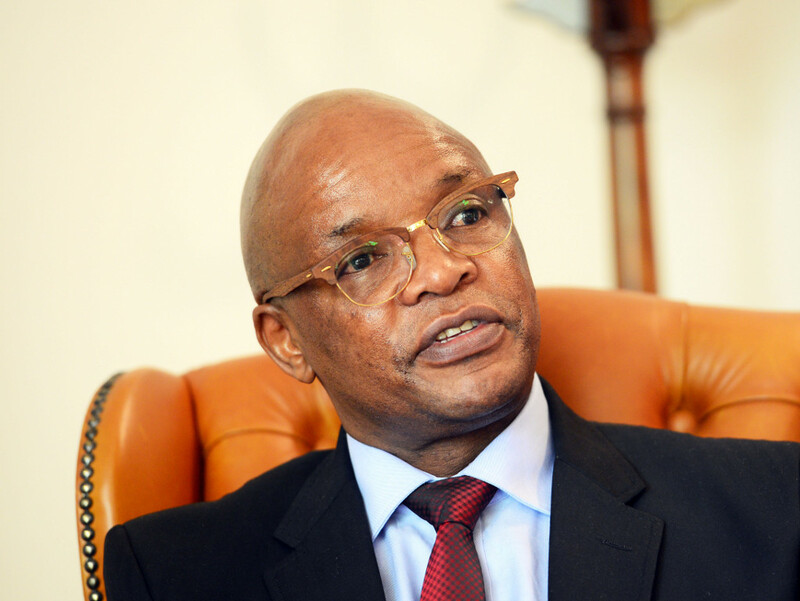 The issue has not died with my election as president, as Pityana claims. He also says no charges have been laid. However, we have reported the matter to the police. There is a case number. We can only wait for the law to take its course. Pityana is a toxic, divisive and vindictive leader whose views appear to change depending on his immediate personal interests. I still maintain that my biggest offence against Pityana was when I stood my ground, as the vice-president of the BBC, when he asked me to intervene in a commercial dispute with Barloworld and denigrate the company's chairperson advocate Dumisa Ntsebeza. Also, this "constitutionalist" once argued passionately in a Sunday paper that the pending charges against Jacob Zuma should be dropped because they were not only extravagant, but reckless and foolhardy. At Busa, he now proudly represents the interests of the largest monopoly producers in key sectors of the economy – including banking, insurance, mining, healthcare, retail and others – who continue to pay lip service to issues of transformation and invest significant resources to derail the government's plans to introduce progressive policies in the areas such as empowerment, land reform and national health insurance. The BBC does not deny that it had lost its way in recent years and failed to live up to the values of its founders. The new leadership of the BBC, with myself at the helm, inherited a financial mess. But at our recent summit, we raised R12 million from our members. We are stabilising our finances and improving our relationships with suppliers. The BBC is on course to become a champion for transformation in the economy and a partner for the government as it seeks to right the wrongs of our country's recent past. At the summit, we resolved to revive work towards establishing a black bank and to increase black participation in the allocation of telecommunications spectrum. We will not be sidetracked by Pityana's side show.